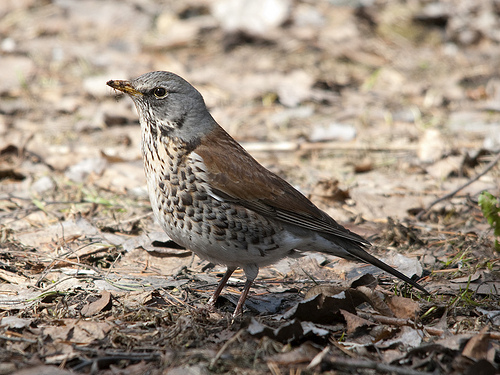 The Fieldfare is a rather large thrush with a remarkable call. In wintertime it often gathers in large flocks, producing its characteristic 'chack' . 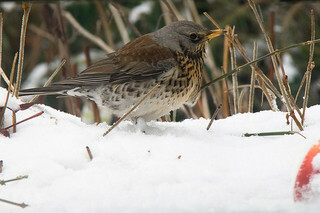 The Fieldfare has more grey on head and body than the Mistle Thrush. In autumn and winter the Fieldfares gather in large groups.